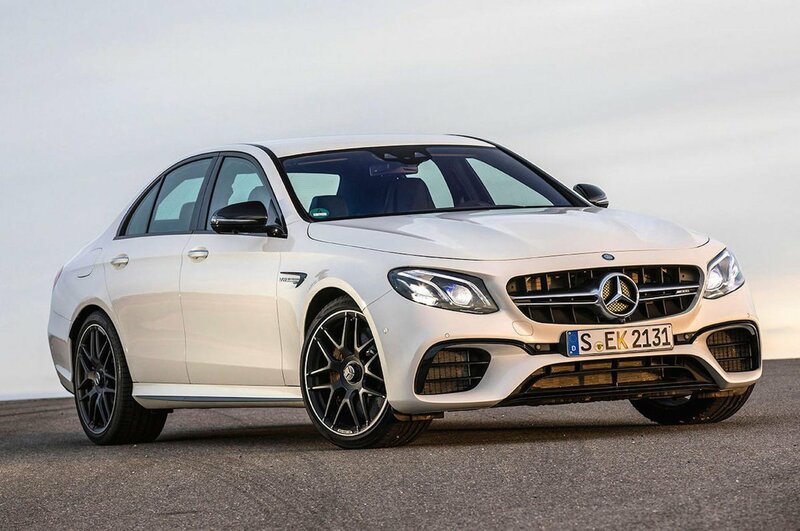 Mercedes-AMG E 63 Performance, Engine, Ride, Handling | What Car? 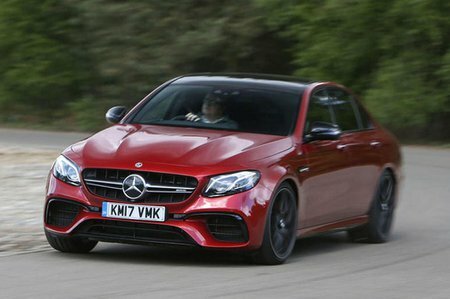 AMG says that its E-Class-based model takes longer to develop than any other car it makes, because it has to do so many different things. An AMG GT is just a sports car, an S63 has to remain a luxury car, but the E63 S is expected to be both of those things. It does a pretty fine job of being both, too. When it comes to considering it as a sports car, you’d think its biggest problem would be a hefty two-tonne kerb weight, but it’s actually surprisingly agile. The steering is relatively heavy compared with the standard E-Class models but this is a positive trait in the E63 and gives you the sense of involvement you want when turning in to corners. 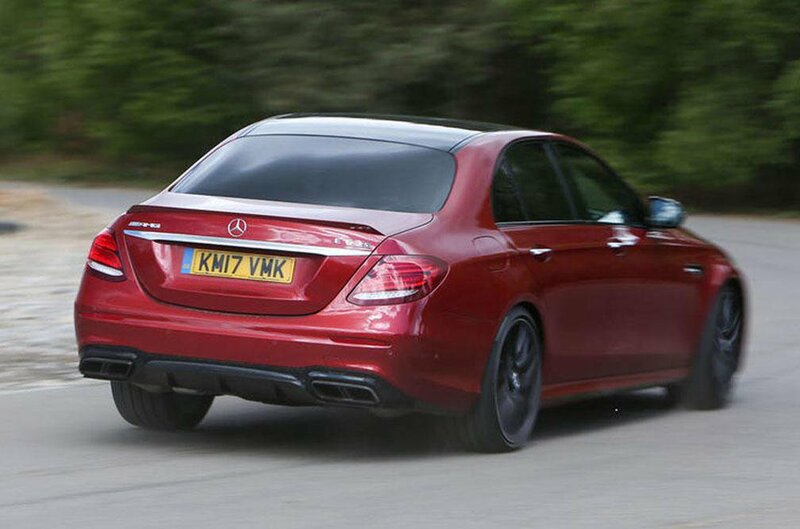 The ride is composed; as standard, the E63 rides on adjustable air suspension and is supple enough if you’re running the car in its softest Comfort setting, bearing in mind the car’s sporting pretence. The tautest suspension mode will subject you to jolts when passing over ridged surfaces and broken asphalt, but you gain even better body control by way of compensation, with enough pliancy left to keep things comfortable on an undulating road. That said, if you want the most exhilarating and finely honed driving experience, we’d put the Porsche Panamera Turbo at the top of your list. The 4.0-litre V8 is quieter here than in its AMG GT stablemate, but still makes a hell of a noise and sounds much more stirring than its BMW, Porsche and Audi rivals. Naturally you can hit the performance-exhaust button to make it growl even more, and why you wouldn't do that is a real mystery. With all that mighty power to deal with, it comes as good news that four-wheel drive is standard. It’s all channelled through a nine-speed automatic gearbox, and while most of the time only the rear wheels that are actually driven, under hard acceleration, when traction is at a premium, anything up to half of the power is diverted to the front wheels for greater stability. The only gearbox option is a nine-speed automatic with switchable modes to speed up the changes when required and paddles behind the steering wheel to allow you manual control. While the gearshifts are reasonably smooth in automatic mode, there are occasions when they’re a little ponderous using the paddles, certainly compared with the snappy shifts you get in an M5 or Panamera. Still, this quibble isn’t enough to dent the faintly ridiculous claimed 0-62mph time of just 3.4 seconds, and by Jove, you really do feel that when you put your foot down away from a set of traffic lights. But equally, when you’re not feeling in the mood to experience breath-taking g-forces, the E63 S is quite capable of pootling along like any regular E-Class. It’s not difficult to drive smoothly in stop/start traffic, and when you reach the motorway there’s little wind noise and an acceptable degree of roar from those fat tyres.